People gave Peter Jackson a hard time for taking The Hobbit, a relatively short children’s novel, and stringing it out into three two and a half hour movies. Well that’s nothing to what’s going on here. The source book of Fantastic Beasts and Where to Find Them is just 128 pages but apparently this is only the first of five films. The difference of course is that J.R.R Tolkien wasn’t around to provide the supplementary material but J.K Rowling is. This film only really shares two things with the original book; its title and the fact that it’s full of mythical creatures. What Rowling has done has taken a character barely given a mention in the original Harry Potter novels and elevated him to leading man status in his own adventures. Rowling, like George Lucas before her, has created a world vividly different and exciting enough to support many many different stories. Five films might only be the start. 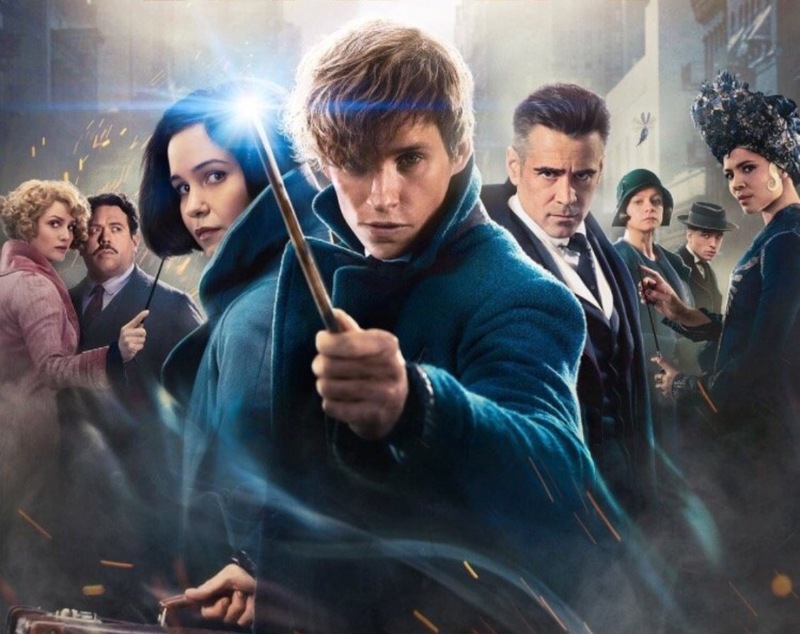 Newt Scamander was previously known only as the author of a key academic text on the Hogwarts reading list but here we learn that in the 1920s he was heavily and heroically involved in a significant incident involving the magical community in New York. It’s like discovering that Noah Webster wasn’t just the guy who wrote that famous dictionary but was in fact a key player in the Napoleonic Wars. Or to use another literary/cinematic reference is like discovering that Bilbo Baggins wasn’t just the elderly guardian of an important mystical ring but had actually been on some big adventures of his own. Filmically the comparisons between this and the Lord of the Rings prequels go beyond extending a short book to give us an extensive backstory. In the same way that the opening frames of the first Hobbit movie put you right back in familiar territory so does this, and as on that occasion this is done with musical as well as visual clues. As the first three bars of John Williams’ now iconic score play over the silvery Warner Brothers logo it is like coming home. Of course it isn’t our home this time, at least it’s not our homeland, it is America. It is still unmistakably Harry Potter’s universe though and no time needs to be spent setting up the parameters of the place. There are wands, confundus charms and disapperations but none of it needs explaining because we’ve been here before. The New York Art Deco setting isn’t really so different either, the London based Ministry of Magic had similar decor. Post war Manhattan actually feels like a natural extension of the world we know and the city is realised beautifully. It is almost a character in its own right. The other key location is the inside of the protagonist’s suit case but I’ll let you discover that for yourself. Needless to say it is magical. Equally enchanting are the fantastic beasts of the title. This is one area in which the film really needed to deliver and it does. There are six or seven main creatures that each get their moment to shine. Every one of them looks amazing and some like the niffler (a cross between a platypus and a mole) and the bowtruckle (a cross between a stick insect and baby Groot) have real charm as well. The humans required to track down the wizarding wildlife when they inevitably run amok are also good. Eddie Redmayne is unassuming but endearing as Scamander. Dan Fogler, who has turned up in various American comedies as the schlubby friend, gives a different class of performance as a muggle caught up in proceedings. Katherine Waterston is a great but sufficiently different Hermione substitute; smart, brave, impetuous and resourceful, and Alison Sudol is her mind reading sister which comes in handy for plot exposition when needed. The need to capture the various super powered animals does make the plot slightly episodic but there is a much larger narrative going on featuring Samantha Morton, Colin Farrell, Ezra Miller and Jon Voight. These story threads link into the history we have heard about before, this is Grindlewald’s active period, and it is this part that will no doubt be expanded on in future instalments. Satisfyingly, for a film that has been announced as the start of a series, it tells a complete story but there are small aspects that will clearly be picked up on again. Inevitably though as well as linking to the already established run of books and films, this also has to compare to them. It is tempting to say that the characterisation is not as strong here but to be fair we’ve only just got to meet these people and Harry and his friends were already well known even before the first movie was released. For me the film suffers the same problem as the X-Men prequels in that it is so epic that it is hard to think that the events seen here wouldn’t have had greater impact on the later story. When we first met Wolverine and the rest of the mutants their existence was still largely a secret yet now that we’ve seen what their kind got up to in the past it is harder to accept that everyone in the world wouldn’t have known all about them. The same is exactly the case with witches and wizards here. Also Harry’s story suddenly seems very provincial with most of it actually happening in one castle and a few other secluded locations. These are personal objections though. This is a fun return to Rowling’s Wizarding World. In terms of how it rates against the Harry Potter films it is better than Philosopher’s Stone and Chamber of Secrets but isn’t as good as the later ones. Even allowing for one particularly well played (by Waterston more than Redmayne) life threatening moment it isn’t as moving or as powerful as Deathly Hallows part 2 but it is still more grown up. It gains as much as it loses by switching the focus from teens to thirty somethings and let’s not forget that those who grew up with the series are not kids themselves any more so this is unlikely to trouble many of them. 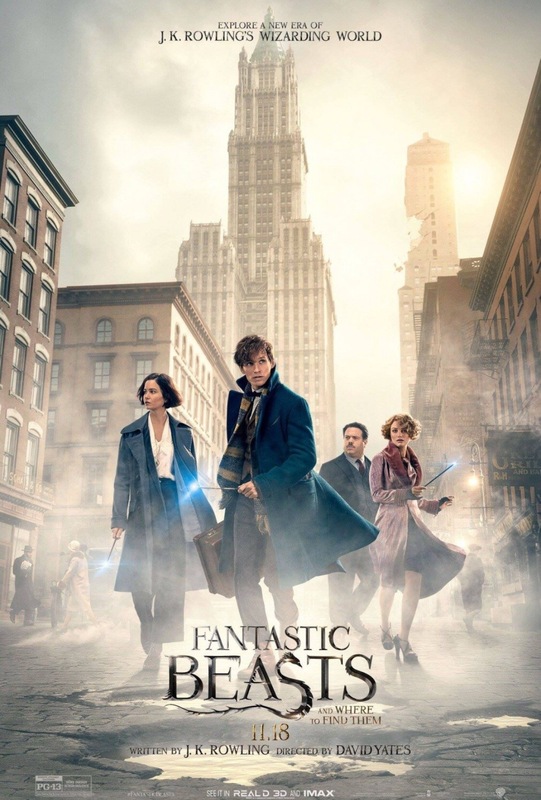 Crucially Fantastic Beasts and Where to Find Them both gives more and makes you want more and in the end doesn’t feel like it is stretching anything beyond the point it can comfortably go. The film is a 12A and I left my seven year old at home, thinking I should probably check it out first. As it turns out I could have taken her. There is nothing here that is too scary. Some of the beasts are big but they are not aggressive. The moderate threat comes more from the people and while there are some fatalities and some injury detail it is at a Prisoner of Azkaban level not a Deathly Hallows level. It is interesting that Rowling, such an obvious feminist, has gone for another male lead. We could have had the unknown adventures of a young Professor Grubblyplank or a McGonagall origin story but not this time. As with all the author’s previous work though the ensemble is properly gender balanced.